This position is available for immediate recruitment. Fractured reservoirs are of interest in exploration and production of hydrocarbon and water, as well as in shallow engineering projects. Fractures may contribute significantly to porosity and permeability and thereby increase the retention and production capabilities of a reservoir or an aquifer. The distribution and properties of the fracture network control water infiltration. Fractures can also control the transport of contaminants in the subsurface; characterizing them is therefore vital in remediation strategies. This project aims to obtain fundamental insights leading to an innovative methodology that exploits the inherent link between three key aspects – the frequency-dependent seismic anisotropy observed in multi-component seismic data, the dynamic effective medium theory, and the seismic attenuation anisotropy. The aim is to achieve a reliable characterisation of the fracture properties. The research will involve new theory developments and modelling studies, downscaled lab experiments, and field studies at analogue fractured reservoirs. A digital method recently developed jointly by TU Delft and VU Amsterdam to quantify fracture systems in the field will be used in this project. This PhD project is anticipated to have a significant societal impact and generate scientific and technological innovations. The applicant should have an MSc in (Applied) Geophysics, (Applied) Physics, (Applied) Mathematics, or Civil or Electrical Engineering. Solid quantitative skills and experience with wave propagation problems in geophysics, analytical or numerical modelling, soil/rock physics, lab experiments, or shared-earth modelling will be advantageous. 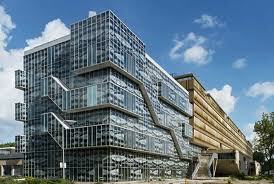 Delft University of Technology is a bilingual organisation. A good command of English (written and spoken) is essential. TU Delft offers an attractive benefits package, including a flexible work week, free high-speed Internet access from home, and the option of assembling a customised compensation and benefits package (the `IKA`). Salary and benefits are in accordance with the Collective Labour Agreement for Dutch Universities. To apply, please e-mail a detailed CV along with a letter of application to R.Ghose@tudelft.nl. When applying for this position, make sure to mention vacancy number CITG09-16. Demikianlah informasi PhD in Characterising Fractured Reservoirs at Delft University of Technology kami sampaikan, semoga bermanfaat.